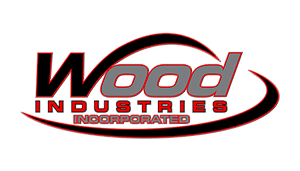 What is the warranty on Wood Industries, Inc. air compressors? Iron Horse/Eagle – 1 year from the original date of purchase. The original purchase receipt or invoice must be provided before any parts will be supplied or server work/labor paid. MAXair Premium – 2 years from the original date of purchase. The original purchase receipt or invoice must be provided before any parts will be supplied or service work/labor paid. Yes. Extended warranties are available for both Eagle and MAXair Premium air compressors. Service kits are also available for Iron Horse air compressors as well. How do I know what air compressor to buy? Determine what types of tasks or jobs you will perform – various jobs such as inflating, spray painting, or sanding, etc. require various sizes of air compressors and tank sizes. Determine which types of pneumatic tools you will use – different tools require different air pressure and volume (CFM) to operate properly. Choose an air compressor with higher air volume output (CFM) than the tools to be used. Determine if the tool load will be used for light or intermittent duty or for continuous, heavy duty. The heavier the usage, the larger the air compressor and air tank size (in gallons) needs to be. Determine the electrical power you have available. DO NOT under-buy in order to cut corners. It’s always better to have a little more air than needed. What type of oil to use in pump? Is there a "break in" run time for the oil in the pump post installation? No, each compressor is cranked and tested prior to leaving our manufacturing facility. Why doesn't my compressor produce enough air (i.e. why do I have to wait for it to catch up)? We do not recommend using an extension cord. We recommend using extra air hose instead. If an extension cord must be used a 12 gauge is recommended for less than 50′ and a 10 gauge is recommended for up to 100′. Keep in mind that other things might be on the circuit that you are plugged up too and robbing the power needed to safely operate your compressor. We do not recommend running your air compressor on a generator. If a generator must be used: an 1hp compressor pulls about 3500 running watts, the surge of an air compressor is 3 times the running watts: 3500×3= 10,500 watts needed to safely run a 1 hp air compressor. A smaller generator might start your compressor but WILL burn up the motor winding in time.